Take a visit to Waiheke Island to discover vineyards, restaurants, art galleries, beautiful walks and beaches and so much more. 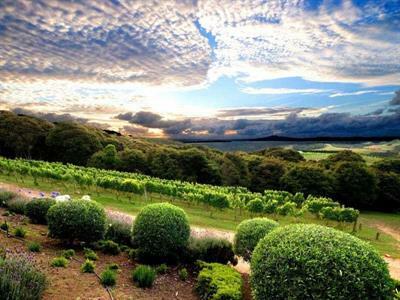 Waiheke Island is a perfect day trip from Auckland and INFLITE can take your there in style. Looking for inspiration? Base your custom charter off this great experience! INFLITE will whisk you away from Auckland City, departing our Mechanics Bay heliport, capturing views of the Hauraki Gulf and Auckland skyline from the air to arrive at Waiheke Island with ease and style. INFLITE will whisk you away capturing views of the Hauraki Gulf and Auckland skyline from the air to arrive at Waiheke Island with ease and style. Looking for inspiration? Base your custom charter off this great experience! Departing from INFLITE heliport, Mechanics Bay, your pilot will fly you and your friends to a remote destination for an unforgettable fishing adventure. Choose from one of three secluded fishing spots including Coromandel Western Coast, Coromandel Eastern Coast or Great Barrier Island and soak in the spectacular scenery en route to your chosen destination. Looking for inspiration? Base your custom charter off this great experience! Enjoy the flight across the Hauraki Gulf catching the sights of Waiheke, Rangitoto, Motutapu and more before landing at the clubhouse of either Gulf Harbour Country Club or Formosa Golf Resort. Looking for inspiration? Base your custom charter off this great experience! Depart from INFLITE’s Mechanics Bay Heliport to an action packed forest Zipline tour on Waiheke Island with EcoZip. Depart from Auckland to an action packed forest Zipline tour on Waiheke Island with EcoZip. Looking for inspiration? Base your custom charter off this great experience! Departing from Auckland, take in views of Rangitoto Island and the Hauraki Gulf before heading South East via the Firth of Thames towards the Waihi Gap. Departing from Auckland, take in views of Rangitoto Island and the Hauraki Gulf before heading South East via the Firth of Thames towards the Waihi Gap. Looking for inspiration? Base your custom charter off this great experience! Central North Island – World In A Day! Fly North via the famous Huka Falls, following the Waikato River over the colourful Wai-OTapu & Waimangu geothermal regions. Overfly the summit of the dormant and spectacular volcano Mt Tarawera, En route to Whakatane view the picturesque Tarawera Falls. Fly North via the famous Huka Falls, following the Waikato River over the colourful Wai-OTapu & Waimangu geothermal regions. Overfly the summit of the dormant and spectacular volcano Mt Tarawera, En route to Whakatane view the picturesque Tarawera Falls. Looking for inspiration? Base your custom charter off this great experience! Your guide will meet you and provide 4WD transport from your lodge or accommodation to the start of the hike – helicopter return or reverse order,depending on your return or reverse order, depending on your chosen hike. Your guide will meet you and provide 4WD transport from your lodge or accommodation to the start of the hike. We will fly you to or from your hike, depending on your choice in trail. Looking for inspiration? Base your custom charter off this great experience! Summer time in Taupo is the dry fly fisherman’s mecca and most often the action is in the hills to the east of Lake Taupo. Helicopters, expert, local fishing guides and access to rivers like the world renowned Rangitikei River combine to make this more than a day’s fishing! Looking for inspiration? Base your custom charter off this great experience! Heli-Hunting in the Kaimanawa Forest Park Hunting Blocks - Choose from Cascade, Waipakahi, Boyd and Tussock Huts. Fly North from Taupo, low over the famous Huka Falls, following the Waikato River to Wai-O-Tapu & Waimangu geothermal regions. Fly North from Taupo, low over the famous Huka Falls, following the Waikato River to Wai-O-Tapu & Waimangu geothermal regions. Looking for inspiration? Base your custom charter off this great experience! This flight combines the thrill of flying low over the mighty Huka Falls with climbing to a higher altitude above Mt Tauhara where the views reveal the beauty and size of our Great Lake Taupo, one of the largest lakes in the Southern Hemisphere. This flight combines the thrill of flying low over the mighty Huka Falls with climbing to a higher altitude above Mt Tauhara where the views reveal the beauty and size of our Great Lake Taupo, one of the largest lakes in the Southern Hemisphere. Looking for inspiration? Base your custom charter off this great experience! Fly South from Taupo, down the eastern side of Great Lake Taupo and into the Kaimanawa Ranges, search for the renowned Kaimanawa wild horses and you may even spot wild deer. Fly South from Taupo, down the eastern side of Great Lake Taupo and into the Kaimanawa Ranges, search for the renowned Kaimanawa wild horses and you may even spot wild deer. Looking for inspiration? Base your custom charter off this great experience!